During the winter months - Mid October to April, the club operates an Honesty Box where the cost for a round of golf is £12.00 (7 days per week). Juniors under 18 pay half the above rates. See also the special offers page for additional concessions. 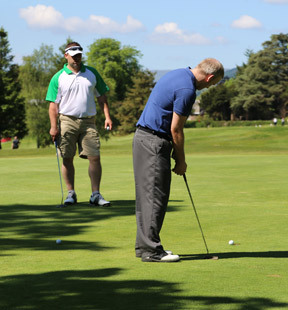 A range of packages are available for visiting parties comprising of golfing and catering. Parties are encouraged to book as early as possible either by phoning 01877 330090 or via the booking form. Before booking, please check the fixture list to avoid days when the course is closed. See special offers for two great deals for visiting parties. All prices include Personal Liability and Accidental Damage Insurance.